As the dust begins to settle on Australia’s 2016 federal election, concerns are being raised about one of the clear outcomes – the return of Pauline Hanson and One Nation. The political party’s policies on multiculturalism, Islam, and immigration champion a return to assimilationist White Australia policy and zero net migration. Policies that were dismantled more than 40 years ago. People are outraged and concerned. However, the seemingly unexpected success of Pauline Hanson’s election campaign should, in reality, be unsurprising. Dog-whistle politics about refugees and people seeking asylum has become accepted practice for many political parties and politicians. These shrill voices are consistently and willingly amplified by various media outlets. An amplification that is grossly disproportionate in the context of literally thousands of positive contributions from migrants and refugees to Australian community life. 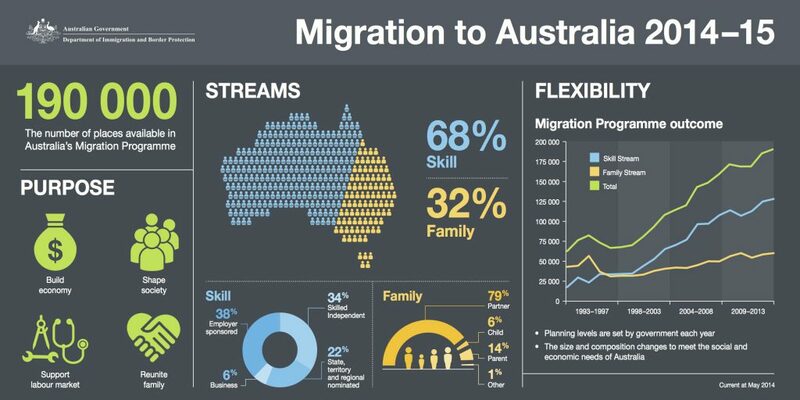 The facts about migration and Australia’s population are as follows. More than 6 million Australian residents (more than 25%) were born overseas. More than 43% of Australian residents have at least one overseas-born parent. More than that, the majority of Australians have migrant stories. Ninety-seven percent of Australians are not descendants of Aboriginal or Torres Strait Islanders, the First Peoples of this country. In Australia, multiculturalism is a way of life and predominantly seen as a success in facilitating integration. National surveys conducted by the Scanlon Foundation and Monash University have found a consistently high level of agreement (greater than 80%) with the proposition that multiculturalism has been good for Australia. Approximately 190,000 people migrate to Australia each year. Less than 4% of our overall migrant intake is for the purpose of refugee resettlement. Australia’s population is much older today than it has been in the past, and both the number and proportion of older people is growing steadily. Over the past 50 years, the median age has increased by almost a decade to 37.3 years, and the number of people aged 65 and over has more than tripled to 3.4 million. The percentage of Australians aged 65 and over is expected to double to 30% of the population over the next 40 years. By contrast, nearly half of newly arrived migrants are aged 20 to 34 years and in the prime of their family and working life. With an ageing population, the demand for residential and community aged care will only increase. Health professionals continue to be in short supply and feature prominently on the immigration skilled occupations list. Nurses are in particular demand, with Health Workforce Australia (HWA) estimating that there will be a shortage of more than 100,000 nurses by 2025. The 2013 White Paper on the Aged Care Workforce in Australia has recommended that the residential aged care sector needs to employ 17% more staff each year. The social and economic case for welcoming migrants, refugees and people seeking asylum is overwhelmingly positive. We have an ageing population, and a significant challenge ahead in caring for our elderly. Various industries and sectors are experiencing labour and skills shortages and are unable to fill all their job vacancies with domestic talent. When you consider the facts the case for migration is more than positive, it is almost irrefutable. We live, however, in a world of Donald Trump and Pauline Hanson whose vision is not of a better future but a shrinking one. A vision of fear. Fear of foreigners, fear of Muslims and fear of uncertainty. Fear is a very powerful motivator, and an effective way to rally people around a cause, but it’s not always rational. Facts don’t matter if they get in the way of political expediency. Facts don’t matter when you’re afraid. Our capacity to reason when fear is the dominant paradigm is vastly diminished, and facts are often a casualty. For the people, organisations and initiatives whose mandate is welcome rather than a shrinking future, fear remains one of our greatest challenges. 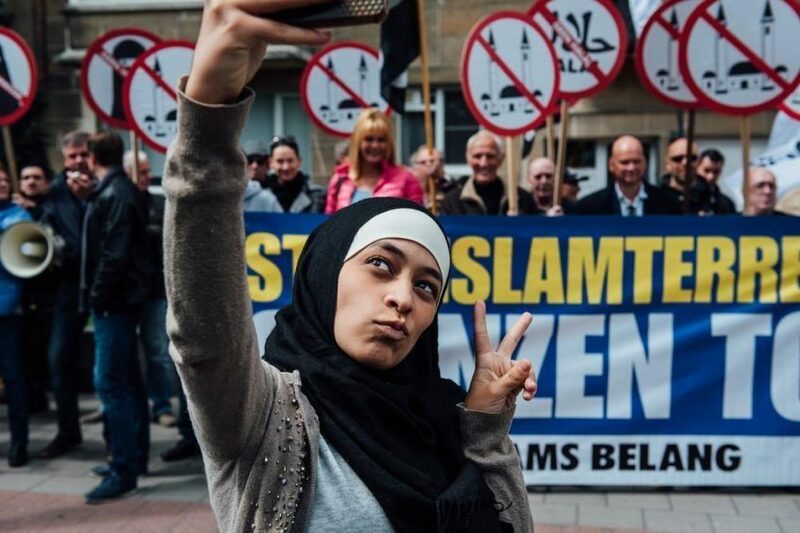 We need to stop amplifying fear, but we ignore it at great cost. Until we can have authentic and reasonable conversations about what people are afraid of and start to move them beyond their fears. Until we can focus on and amplify the 100 positive stories more than the one negative story. Until we can raise up and elect more leaders who are willing to embrace social cohesion and inclusion and refuse politically expedient fear-based tactics. Until we choose to be relentlessly positive and welcoming. Until we are prepared to change our approach, it is likely that fear will continue to trump fact. This is no simple task. We need to resist the temptation to respond in-kind to those who peddle fear-based rhetoric and policy. We need to refuse to respond with anger, arrogance or dismissal. We need to refuse to merely shout louder. It won’t work. It’s not working. Because it equates to darkness trying to drive out darkness. We have to present a bigger future and a better way. We have to stand and walk with, and give voice to the people in our communities who are the target of fear and hate. The people who are often the newcomers. The people who often stand out the most. We need to provide the platforms for them to share their stories and shine a light on their important contribution to community life. We also need to have the courage to invite and walk with those who are caught up in fear and loathing. We need to challenge sweeping and ignorant statements. But we also need to respond with a willingness to embrace people in the dominant culture who are swept up in fear, who are concerned. They may not join us on the journey, the first time. Or the second or third. Or ever. But we need to keep inviting them anyway. Our goal should never be to marginalise, but to include. Because, well, that’s what inclusion is. It’s about creating the space for everyone (even those we disagree with) to have a sense of belonging and the opportunity to participate and contribute. Maybe then, fact will finally trump fear.